Kourtney and Kylie arrived at Coachella just one day after the birth of their niece by sister Khloe Kardashian. The two sisters were photographed together in Indio, California, ahead of a full weekend of musical acts including Beyonce, Cardi B and The Weeknd. Kourtney, 38, looked ready for the sun’s rays in a black see-through tank top with a black bra, black shades and dark gray Adidas sweatpants. Kylie, 20, shielded her face with a jean jacket and matching jeans along with her hair in a topknot. The sisters were accompanied by their respective boyfriends, Younes Bendjima and Travis Scott. 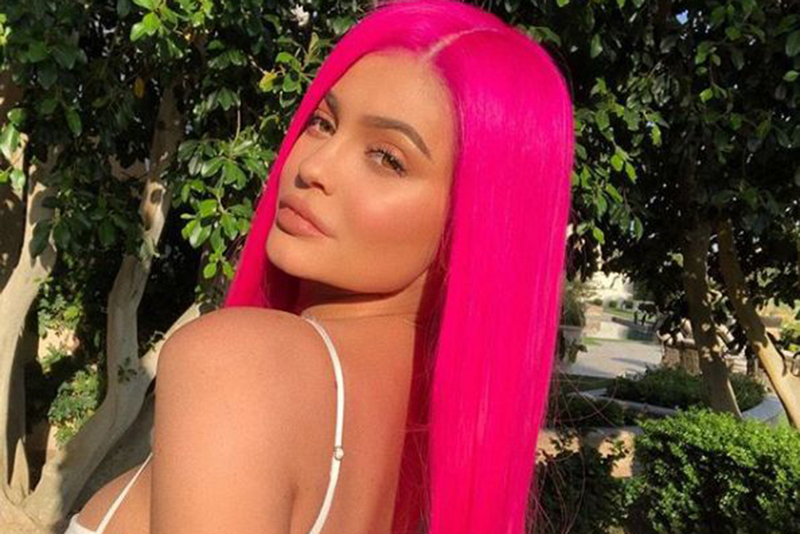 Kylie showed off her new pink locks on Instagram after landing at Coachella, sharing a picture caption, “I’m not a regular mom I’m a cool mom,” from the iconic film Mean Girls. She gave birth to her first child with Scott, daughter Stormi, two months ago.